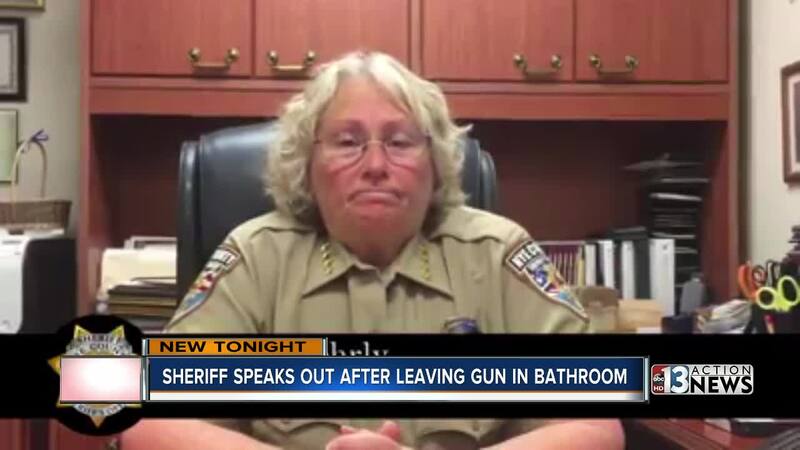 A Nevada Sheriff has taken to Facebook to apologize after leaving her gun in the bathroom of a casino. Nye County Sheriff Sharon Wehrly left her Glock .45 in a restroom toilet stall last week at Saddle West, a hotel, casino and RV Park in Pahrump. Casino General Manager Gregg Schatzman confirmed there was a weapon recovered last week in the bathroom by a porter who was cleaning. He said the porter turned it over to security, who then turned it over to him where it was locked up until the sheriff reclaimed it. Wehrly believes the incident happened last Tuesday or Wednesday but could not confirm which day she left her gun behind. She said she was only separated from her gun for about 10 minutes. She realized it was missing and went back to the restaurant where she'd been having lunch. She says she never left the building. "It's a big responsibility to have a firearm and an even bigger responsibility to make sure it's kept in a safe environment all the time. However, people are human and mistakes happen," Wehrly said. "A gun is a tool, and we should always keep track of our tools. I was remiss in this case because I was on the phone dealing with an emergency. I was blessed that someone responsible found it." Schatzman added that there's always a concern when a weapon is left in a restroom. He said leaving a gun, especially a duty weapon, is very, very serious. "There was a hole and fortunately we picked it up and so we're in good shape," Schatzman said. 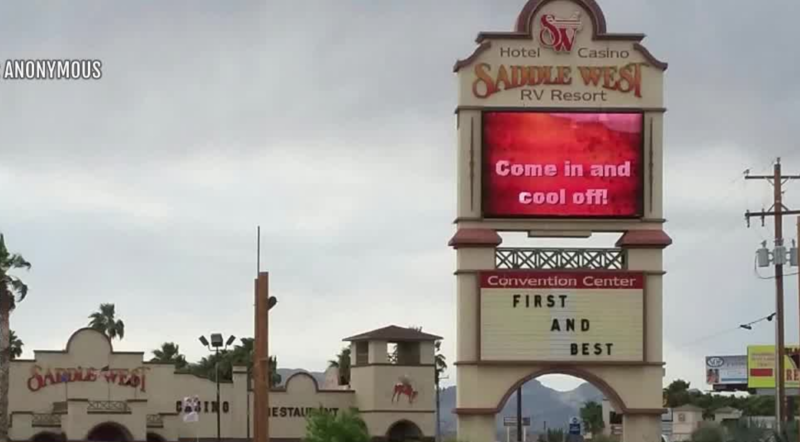 He emphasized his high regard for the Nye County Sheriff's Office and their quick response time whenever the casino needs them. Wehrly admitted that this is not the first time she's left her gun behind, though the others, she says, were in the distant past. She recalled a 1984 incident where she left her gun at the U.S. Department of Energy headquarters in Mercury and ended up working an entire shift without it. She also recalled an incident in the 1990s but said the gun wasn't left in a public facility. Schatzman said a California Highway Patrol officer left his gun and badge in the casino restaurant last year.